Lystfisker Oasen is located in beautiful and peaceful nature. The owner designates his angler lakes as "a real gem for nature- and outdoor people." 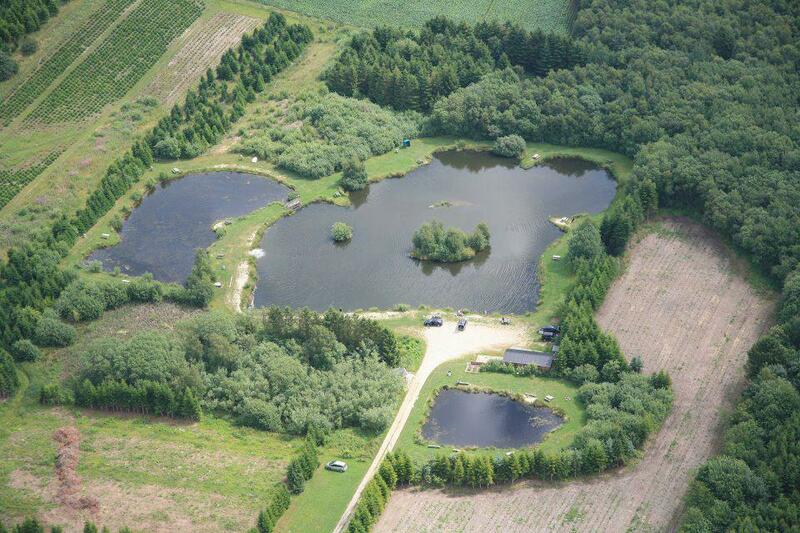 Lystfisker Oasen has 3 lakes with spring water supply and many clams. The two are landscaped with small peninsulas, a bridge and small islands. They cover an area of 8,600 squaremeters and have a maximum water depth of 4 meters. The third lake is a children's lake of approximately 400 squaremeters with many fish in a smaller size. Facilities: Angling Cabin with tables and chairs for 28 people. Refrigerator. Toilet Building. Cleaning facilities. Toilets. Camp fire. Rod holders. Large grill. Angling license: Payment is made under the small canopy, labeled FISH CARD. Opening hours: Open all year.